Usually, when a band I love announces they will be playing a one-off show, a reunion gig or something special and a little out of the ordinary, you will hear me complaining “Why is America so far away?” or “Seriously, I’d still be living in the UK if they weren’t so funny about visas!” I often feel a little left out living in overlooked, uneventful Australia. So you can imagine my excitement when I heard one of my all-time favourites would be playing in Sydney. And during uni break! 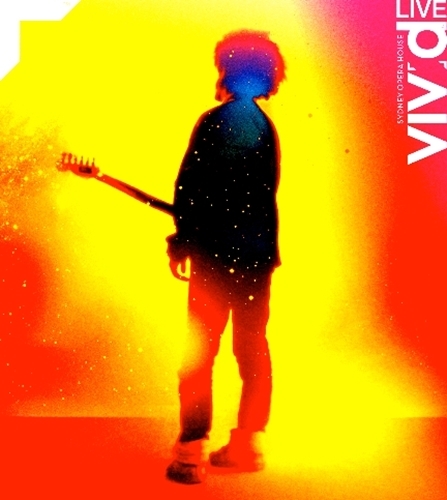 On the 6th of May, The Cure announced they would be playing their first three albums in their entirety on both the 31st of May and the 1st of June at the Sydney Opera House, these would be the only dates and Cure fans from all around the world began planning their journey. Message boards and blogs paint a picture of fans from as far as England and America scrambling to get their hands on the 5000 tickets that would be on sale for the two nights. Fortunately, I didn’t have to fly 20 hours or pay thousands of dollars to get to Sydney. A three hour and $25 bus ride would see me there, but the first hurdle was actually getting these tickets. People relying on Ticketmaster didn’t have much luck. The Opera House released presale tickets two days before the tickets officially went on sale to people travelling from interstate. This is where I lucked out and it demonstrates the need to GET YOUR NAME ON AS MANY MAILING LISTS AS POSSIBLE!!! I suppose you would have been screwed anyway if you lived in Sydney. Even buying this way didn’t work at first, then due to what looked like some glitch in the system I was able to get a couple of tickets a few hours later. I don’t know how many tickets were left at 9am on the 12th of May, but the forums suggests tickets were unavailable in less than 5 minutes. Leaving many distraught Cure fans (some who had already booked international flights to Sydney just for the show) with no choice but to bid thousands of dollars on ebay. The shows were a part of Vivid Festival, an annual festival of music and lights held in Sydney. It was an early start to the night, the audience had been instructed to take their seats by 7 or risk not being allowed in. The show was being recorded for DVD and there were several cameras at the front of the stage, one a little further towards the back and a couple zooming over the audience. I had a great seat in the stalls. 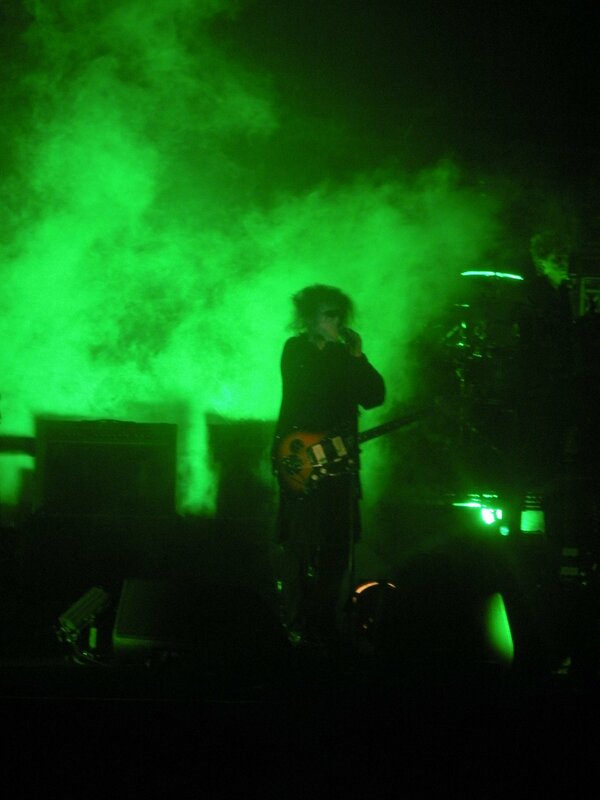 The generation-spanning audience greeted Robert Smith, Simon Gallup and Jason Cooper with hysteria. Robert Smith told the crowd we would, “go back 33 years!” And it really could have been 1979, years before I was born, as the trio seamlessly tore through their timeless debut album, Three Imaginary Boys, sounding nothing short of perfect with some of my favourites Fire in Cairo and 10:15 Saturday Night. Until the DVD is released (a date has not yet been set) some audience filmed footage will have to tie you over. None of it’s mine of course, I didn’t want to spend the evening fussing with a camera! A short intermission between each album was welcomed by most of the audience as a girl I’d never met before screamed at me in the toilets, “OH MY GOD!!! THAT WAS MY FAVOURITE ALBUM OF ALL TIME! BUT I REALLY NEEDED TO GO TO THE TOILET!! !” This was the level of excitement most of us were buzzing with, as strangers in the bar cue quickly bonded over their love of this band. We’d seen a brilliant performance of the first album, but it was only the start of the night as everyone hurried back for Seventeen Seconds. The trio came back on stage with a fourth member this time, Roger O’Donnell on keys. The shift in the band’s style was noticeable with the addition of keyboards, but it was just as unbelievable as the first part as we moved into the 80s. By this point everyone (at least everyone visible to me in the front section) was on their feet and dancing, clapping and singing along to Play For Today and crowd-favourite A Forest. Part three, was of course the 1981 album Faith. This time as a quintet with Laurence Tolhurst on keys and percussion. For a band who have unfairly gained the reputation of being miserable, depressive goths, an uninitiated outsider could be confused at the pure excitement and joy that this music was giving the audience. But we knew better, there has always been something special, even magical about The Cure, how this music can make you feel, where it can take you. The boy of around eight years old dancing in front of me got it, the older audience members who had spent the last thirty years listening to these albums got it and if you don’t get it, you are missing out. After three albums and 30 songs it was already one of the longest gigs I’ve ever been to (though it certainly didn’t feel like it!) I would have been happy to stay there all night and watch them run through their entire back catalogue, of course they didn’t, but they did return with THREE encores totalling 14 songs. It’s hard to pick, but this was probably my favourite part of the evening. The chosen songs were a perfect fit to wrap up the evening. They played a selection of B-sides from the singles we’d heard that night including Another Journey By Train, B-side for A Forest. There were tracks from the Boys Don’t Cry, the US album version of Three Imaginary Boys (both versions available in Australia, but it was the US version I first picked up as a teenager) . And there were some later hits such as the final song of the evening, Lovecats. My brief attempt at photography for the night.